I have a lot of opinions about books. I like writing my opinions about books. Therefore, I was delighted to be tagged by Beth at Reading Every Night to do the Twenty Questions Book Tag. Here are twenty of my opinions on everything from love triangles to cover type. Some stories have expansive worlds, a gigantic, multi-faceted storyline, and many characters. Fantasies such as The Hobbit by J. R. R. Tolkien and Eragon by Christopher Paolini seem like they are made to be a series. And then there are authors who just need to learn that sometimes there can be too much of a good thing. In general, I think two to four books is a good amount for a series, with just a few exceptions. It’s sort of a love-hate relationship. I like it when I can go read the next book in the series right away. I love it in serial stories. I really don’t like it in a series when the next book isn’t going to be published for a long time. I abhor it in a standalone. Why would anyone put a cliffhanger in a standalone? Hardbacks are usually beautiful and durable, but paperbacks are easier to read, and not as expensive. I always buy paperbacks if it’s a book I haven’t read before, and I’ll sometimes get hardcovers of old favorites or books I want to keep for a long time or intend to lend to other people. 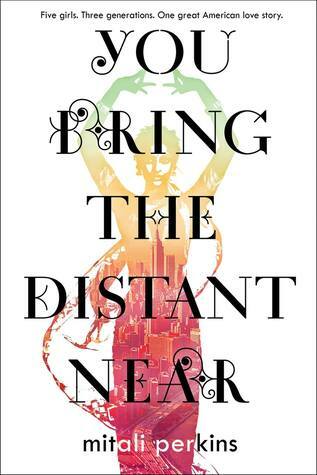 Short answer: You Bring the Distant Near by Mitali Perkins. Long Anser: One? Did you mean to ask what my favorite books are? Here’s my top 27: here and here’s my top 5: here. I don’t really have a least favorite book. I would have to vehemently disagree with something the book praises and really dislike the writing to call a book my “least favorite.” As for now, we’ll just say I don’t have one. I don’t like love triangles. Unless they are necessary element in the character arc, they seem to detract from overall character development and provide unnecessary complication and drama to a book that otherwise might have potential. I don’t remember. I’m a pretty fast reader, so even if I’m not completely immersed in the story, it isn’t too much of an investment to finish it. If I think I don’t like it, I just skim ahead. Ooh. This book is fascinating. It’s called The End of Epidemics and it’s about how epidemics start, spread explosively, and what we can do to stop them. It’s not so scientific as to bog a reader down, and it’s actually quite interesting. Romanov by Nadine Brandes. This book was amazing, and I think it will appeal to a lot of different readers because of the historical elements and the fantasy elements. The oldest fiction I’ve read was maybe the Odyssey by Homer? People don’t agree on exactly when it was written. Some say it was passed down for a long time as a spoken story as it was written. The general consensus seems to be that it was probably written somewhere between the 8th and 10th century BC. Romanov by Nadine Brandes is coming out on May 7, 2019. I’m so excited to see what people think of it! I liked it even better than Fawkes, and the Russian revolution is a fascinating time period, to start with. 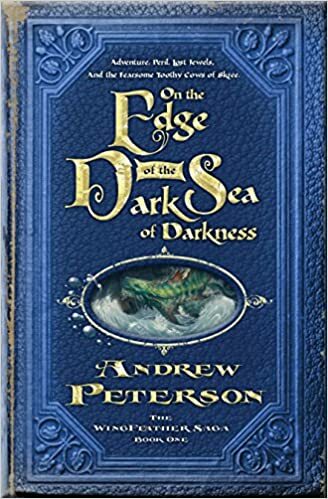 Hmm… I’ll refer you to my list under ‘favorite books’ again and then just say Mitali Perkins, author of You Bring the Distant Near, and Andrew Peterson, author of On the Edge of the Dark Sea of Darkness. I get most of my books from the library. You can actually get a new book from the library quite quickly if you get on the hold list fast enough, in my experience. If I’ve read a book and really like it, I’ll buy it to have and reread. Or if there is a really good sale on books, sometimes I’ll buy one. 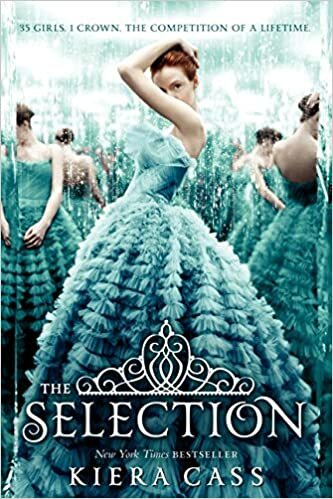 I didn’t like The Selection by Kiera Cass. I know that’s an unpopular opinion (that’s why it’s in this section), but I felt like the story was too predictable and cheesy, and I didn’t really like Kiera Cass’s writing style. It just felt cliché and overly dramatic. Also, there was a love triangle, and you probably remember my feelings on love triangles. Bookmarks, all the way. I get most of my books from the library, as I said before, and I don’t want to ruin my own books. Pride and Prejudice by Jane Austen is a great book to reread, as is You Bring the Distant Near by Mitali Perkins and On the Edge of the Dark Sea of Darkness by Andrew Peterson, as well as Salt to the Sea by Ruta Sepetys. I can. It’s easier if it’s music I’ve heard before, but even if it’s new, I can usually do both. I’ve actually listened to an audiobook while reading before on several occasions. I don’t know how, but I remember most of both stories. It really depends on the book. Some authors need the whole book to develop their story and their character, and one point of view works well for that. Some authors do a really good job at making their characters feel real even when they have a lot of characters. I like multiple POVs when the author can distinguish and develop all her characters and especially when they all have unique voices. It’s also interesting to realize that every character can have their own unique story, whether or not it’s the one being told. I like single POVs when the book already has a lot of details or characters to keep straight (no multiple POV fantasies for me, thank you very much) or when one character should really be the main focus. It depends on the length. Most books I read in one sitting. I remember the book better that way, and the events make more sense and feel more timely. If it’s a long, detailed, or weighty book, or a book in verse, I’ll often read that over multiple sittings. So, that was fun. Thanks, Beth, for tagging me! Also, I tag anyone who wants to do it! Just link back to whoever tagged you, answer the questions, and tag a few more bloggers. And love triangles… they’re just too overused and too dramatic and take up too much space and…. It was so much fun to read your answers to all these questions-let me go excuse myself to read You Bring the Distant Near 😆 Thanks for tagging me, I can’t wait to do this! Thanks! Let me know what you think of You Bring the Distant Near. Can’t wait to see your post! *steals tag* this was such a fun one, I’m gonna have to do it soon! Can’t wait to see your post! Let me know what you think of You Bring the Distant Near. Salt to the Sea is the best. I really hope Ruta Sepetys writing another book this year. I’ve heard rumors, but nothing for certain. I was on vacation this week, so I didn’t see this comment until now! Thank you and can’t wait to see your post!